At My First Skool, our holistic curriculum and innovative learning resources keep our children's curious minds engaged. 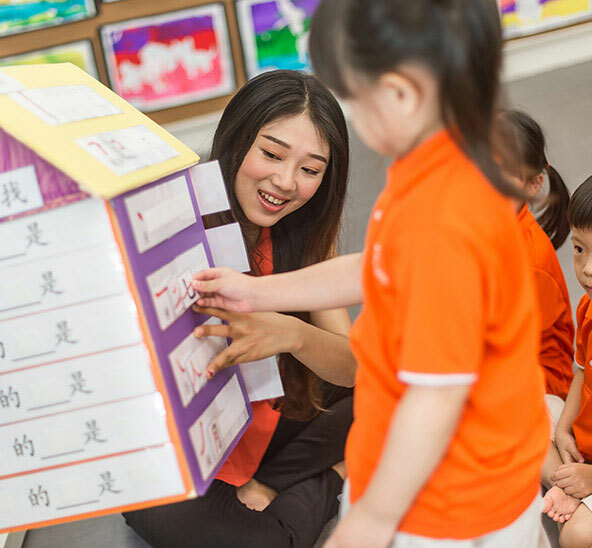 Your child's learning journey happens outside the classroom too, as we allow your child to apply what they have learned in class to real-life situations. Being passionate about children and what we teach, is in our DNA. From group learning activities to their well-being, we are committed to empowering our children with the confidence to constantly seek new knowledge and experiences. Learning is made fun and engaging so that our children enjoy their learning journey. From developing their social skills and harnessing their linguistic abilities to strengthening their character and moral values, we provide our children with the foundation to reach their fullest potential. We believe in providing children with authentic and varied learning experiences that complement the daily curriculum. 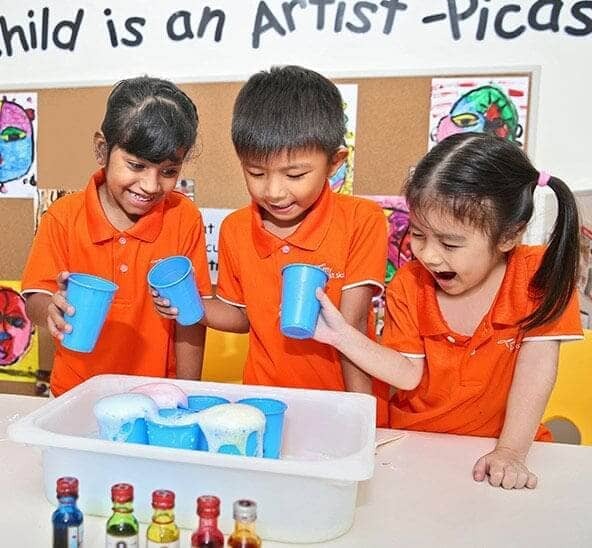 To enable all-round development in our children, our specialised programmes and carefully devised curriculum allow them to learn through non-traditional modes and further develop their areas of interests, be it in STEM, arts, bilingualism or cultural intelligence. Let your child embark on an experiential, stimulating and enjoyable journey! Whether as a teacher, leader or specialist, your contribution towards our children’s education and future is vital. Join us now! Check out our FAQ section or contact us to find out more.